Bring it on, Avengers! 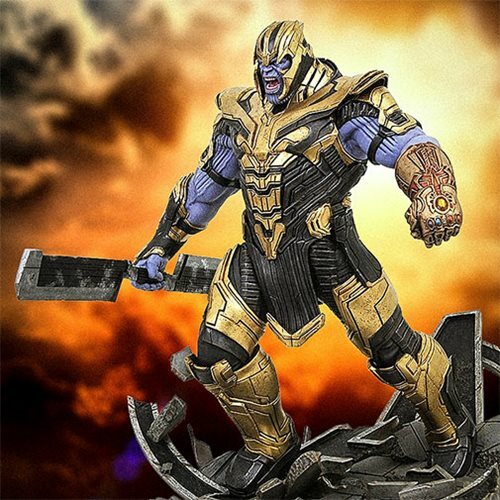 From the Avengers: Endgame film, the ultimate baddie, Thanos, enters the Marvel Milestones line dressed in his battle gear. 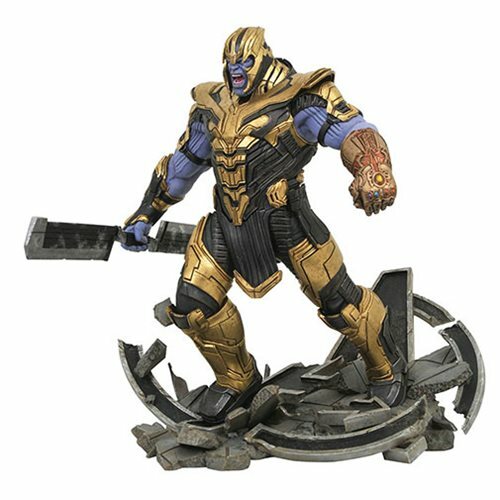 The Marvel Milestones Avengers: Endgame Armored Thanos Resin Statue is made of resin and is a limited edition of 1,000 pieces. The 16-inch tall statue comes with a certificate of authenticity and is packaged in a full-color, hand-numbered box.